BAD BET | Boise’s residential real estate market was poised for growth. Then the Great Recession hit. Two dubious GET-RICH-QUICK INVESTMENTS — one that involved more than 17,000 acres outside of Boise and another that included more than 2,000 acres near Denver — ended up costing the Dallas Police & Fire Pension System close to $100 million. The rolling foothills of the Boise Mountains stretched before her, grassy hilltops dotted with sagebrush, extending as far as she could see. Kelly Gottschalk traveled miles of narrow roads, shaking her head in disbelief at the thousands of empty acres in rural Idaho. It all belongs to the police officers and firefighters of Dallas. Of all the dubious investments made under Gottschalk’s predecessor — luxury homes in Hawaii, a resort near Napa, high-rise condos in Dallas — this one galled her most. How could a public pension, tasked with protecting the retirements of those who safeguard the city, throw away so much money on so much vacant land? The Idaho investment and a similar land deal in Colorado have cost the pension fund close to $100 million, its attorneys say. They account for a major portion of the half-billion in losses the fund has endured in recent years because of bad bets on real estate and private equity. The fund spent $25 million just in fees to advisers and managers on the land deals. The deals were also a key focus of legal claims the pension fund made against an investment firm, CDK Realty Advisors, that ended this year in a $2 million settlement. Last year, the FBI raided CDK’s headquarters and carted out boxes of pension-related documents. CDK says that overall, the real estate projects it managed were profitable for the pension. “CDK is proud of the many successful investments made for DPFP in the Dallas area,” the firm said in a written response to questions for this story. But the land ventures are examples of the risky investing tactics that, along with overly generous benefits, led the pension to the brink of insolvency. This week, the Texas Legislature agreed on a fix that will deeply cut benefits and require city taxpayers and first responders to pay millions more each year to fill the financial hole. The vote could save the pension. 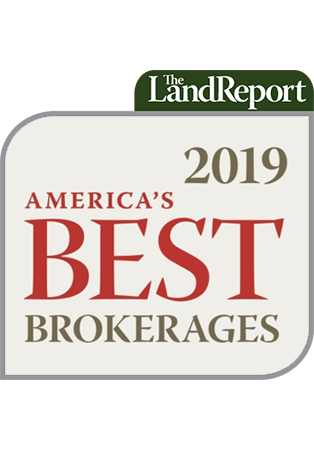 But the fund still must deal with a legacy of speculative investments — including the thousands of undeveloped acres in Idaho and Colorado that the fund’s current leaders would rather not own. OPEN SPACE | It took more than a decade for the pension fund’s 2,038-acre Colorado investment to be liquidated. 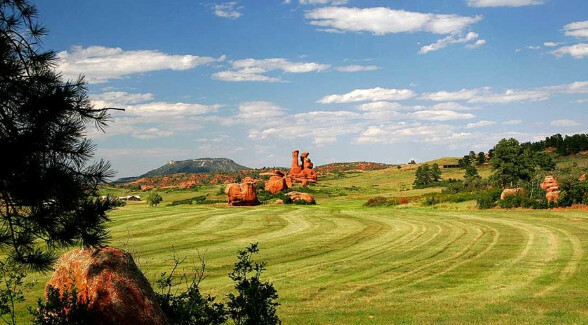 Ken Mirr of Mirr Ranch Group brokered the sale of the Sandstone Ranch to Douglas County for $18.75 million in January 2018. A DEVELOPMENT DREAM In the summer of 2005, two Dallas police officers and a firefighter flew to Idaho to scope out real estate. 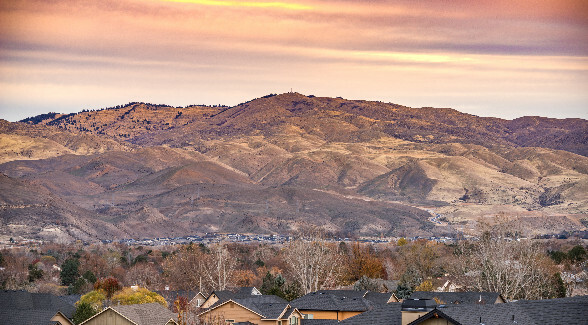 The market was booming all over the country, and few places seemed as hot as Boise. Californians, priced out of their own state, were buying properties sight unseen in the Boise suburbs. Dallas fire Lt. Gerald Brown was the pension fund’s chairman, police Sgt. Steve Shaw its vice chairman, and Sgt. Steve Umlor a trustee. They spent much of that June traveling the country viewing investment properties. The pension was coming off a couple of good years. For 2003, it had posted a return of 31 percent, ranking it best performer among similar funds. Its leaders looked smart, and they carried themselves that way. The pension’s top staffer then, Richard Tettamant, held his position for more than two decades. He couldn’t understand, he would tell people, why other fund managers went for average returns just because they seemed safe. “You have to be above average,” he said in a 2012 interview. “And that’s been our goal.” He reported to a board made up of police officers, firefighters and City Council members. During that summer of 2005, CDK persuaded the pension fund to speculate on ranchland north of Boise. The fund ultimately bought more than 17,000 acres. The plan was to turn 6,750 acres of foothills into a new community called Spring Valley. It would nearly double the size of the town of Eagle, a picturesque suburb of Boise. The pension would partner with an Arizona development firm, M3 Builders, that had done deals with CDK and the pension before. M3 would launch a massive development: perhaps 12,000 mostly upscale residences, a 500-room hotel, hundreds of thousands of square feet of office space, shops, restaurants, parks, equestrian trails and a vineyard. Next Dallas’ public safety workers would finance it. They’d spend $42 million on the land, and over six years, more than double their money, an early version of the plan said. This was no ordinary investment for a pension fund. Traditionally, pensions invested in risk-averse mixtures of stocks and bonds. The Dallas fund wasn’t the only one betting on real estate, but it was doing so on a much larger scale than others. In essence, the city’s police officers and firefighters were cashing out stocks and bonds, giving the money to land speculators and hoping for a big payoff. In Idaho, many locals could only watch these outside investors and wonder. Jim Farrens, the engineer for Ada County at the time, says Spring Valley was among the biggest of about two dozen proposed communities. His department was working overtime to keep up. Farrens never thought the project was feasible. For one thing, he says, the area’s roads couldn’t support it. THE BUBBLE BURSTS Tettamant and the board relied on their advisers and managers, CDK and M3, to steer the purchase and development of the Idaho property. The way the deal was set up, M3 would not only be paid regular development fees but would also be an equal partner with the pension, despite having put no money on the line. Had the venture been successful, M3 stood to reap significant returns on money that taxpayers and first responders had invested. Months after the initial business plan, CDK and M3 persuaded the pension to buy more land, raising the pension’s investment at that point to $64 million. M3 partners Bill Brownlee and Scott Schirmer moved forward, pursuing annexation by the town of Eagle and initiating plans for new roads, nine new schools, 14 neighborhood parks, water and sewer systems, fire stations, a police station and a tax district to pay for it all. The project met furious opposition from many Boise-area residents, who didn’t want to see huge tracts of scenic foothills overrun by development. On a Monday evening in 2006, nearly 200 people packed into Eagle Middle School’s cafeteria. After an hour-long presentation by M3’s Brownlee, people called out questions about how the project would affect roads and water supplies. A project pro forma that M3 and CDK presented to the pension said the investment was to be completed in six years, after lots were sold to builders. But the real estate bubble was about to burst. Though the pension’s leaders hadn’t seen it coming, others had. GOOD MONEY AFTER BAD By 2007, the demand for real estate was vanishing, just as the pension had ramped its investments in Idaho and elsewhere past $900 million, equivalent to more than a quarter of its $3.4 billion net worth at the time. Tettamant and the board were not prepared to concede defeat. As the fund’s real estate ventures sank, the pension and its advisers tried to keep the projects afloat — often putting in good money after bad. CDK defends its efforts to save investments during that time. “No assets were lost to foreclosure, even during the second worst recession in US history,” the firm says. As the recession took hold, one of M3’s partners, Schirmer, began setting up loans that would later draw scrutiny. He created companies on behalf of a business ally that lent the Idaho venture money. Schirmer’s position on both sides of these loans — representing borrower and lender — would later be criticized in the pension fund’s lawsuit against CDK. Documents CDK provided to The Dallas Morning News show the fund’s lawyers were aware of Schirmer’s relationship to the lender and suggest Tettamant was as well. In one case in early 2007, documents show Tettamant signed off ahead of such a loan, as did Brown, the pension board’s chairman. Brown signed “on behalf of the Board of Trustees,” though board minutes don’t indicate that the rest of the board publicly discussed or voted on the matter. Brown declined to comment for this story. Both the M3 partners and the CDK partners declined to be interviewed. But in its written responses, CDK said the Schirmer loans were set up only after CDK, M3 and the pension were unable to secure bank loans. CDK says the loans’ interest rates, some of which were 12 percent, were reasonable given the risk involved. In total, companies set up by Schirmer and his business ally loaned the pension fund’s Idaho project, along with a similar venture that M3 managed for the pension in Colorado, more than $14 million, deed records show. The loans would later be repaid by loans from the pension, which it funded through a line of credit with Bank of America, and by other bank loans guaranteed by the pension. Last year, the pension’s lawsuit against CDK said the land ventures paid off the Schirmer loans in full — both principal and interest — but still owed Dallas public safety workers $47 million. The suit, filed under Gottschalk’s leadership, represented a major parting with CDK — long among the pension’s most trusted advisers. CDK’s partners — Kenneth Cooley, Jon Donahue, and Brent Kroener — had backgrounds in real estate and development and had long worked with the fund. They were so trusted that Tettamant arranged for the pension to headquarter with them in the same office building. At the height of the relationship, the firm would manage more than $700 million in real estate for the pension. Tettamant and the CDK partners threw holiday parties together at the headquarters. Tettamant’s staff arranged for Donahue to rent one of the pension’s ultra-luxury investment properties — a $10 million ski-in, ski-out mansion in Park City, Utah — at a cut rate. Donahue paid $7,000 per week, records show. The advertised rate was $84,000 per week. The pension fund ended up losing $3.6 million on the investment home, which was not managed by CDK. Donahue says he was unaware of the advertised rate and thought the pension offered him the rental only because it otherwise would have stood vacant. In its suit against the CDK partners, the pension fund raised issues about how CDK valued real estate investments. For many years, CDK didn’t have investment properties appraised. Instead, the Idaho and Colorado land was primarily valued by how much money the pension had invested. So even as the real estate market tanked, the pension fund’s books showed the Idaho and Colorado ventures maintaining or increasing their values, as tens of millions of dollars went toward legal fees, interest, engineering work, marketing and other expenses. On top of those expenses, M3’s partners were making millions. According to a recent accounting by the fund’s current administration, the pension ended up footing the bill for $20 million to M3 in management and development fees, along with $4 million more to CDK for the projects. Thanks to all of these expenses, the pension fund valued the Idaho and Colorado land in 2012 at a combined $180 million. Its market value was nowhere near that, the suit against CDK said. CDK says the pension and its outside auditors agreed it was reasonable to value the land at cost because it was still under development. That year, Tettamant directed his staff to create a presentation on the Colorado land as he tried to interest a buyer. “This presentation is for a very important person, a Russian billionaire,” he emailed staffers. But they couldn’t make the sale. A brochure that an area resident received in the mail showed some of the proposed features of the development that was later called Spring Valley outside Boise, Idaho. CUTTING THE LOSSES In 2013, Dallas Mayor Mike Rawlings spurred the city to audit the pension fund’s investments. (Tettamant and board members tried to block the audit by withholding records and telling the rank and file that the city sought their personal retirement information.) Rawlings also prompted the removal of several council members from the pension’s board, and their replacements began shaking things up. The next year, the board ousted Tettamant. When the pension demanded new appraisals of its land in Idaho and Colorado, the results were devastating. More than $110 million invested by the pension “was no longer reflected in the value of the property,” the pension said last year in its lawsuit against CDK. The firm disputes the new lower valuations. Umlor, the police sergeant who traveled to Idaho in 2005, is now retired. He loses sleep over how things turned out, he says, but he worked hard to research investments. As the pension sued CDK last year, it negotiated with M3. The talks ended with an agreement that cut M3 out of the land partnership. The pension agreed to pay the firm a final $1.5 million for M3’s interest in the partnership and for M3’s efforts to secure an extension of water rights for the Idaho land. Now the pension must figure out what to do with it. Today, a real estate broker traverses the land on a four-wheeler. No houses were ever built, no lots ever sold. The vast expanse looks just as it did more than a decade ago, when Dallas’ public-safety-workers-turned-realestate- investors first saw it. Copyright 2017 The Dallas Morning News, Inc.
Bureau of Land Management to Exit Washington?